Anyone who followed the smartphone scene would know that the LG Nexus 4 has been in the pipeline for quite some time already, and even Hurricane Sandy is unable to make a dent despite the botched Google event in New York City. Natural disasters or not, Google and LG have teamed up to announce the existence of the LG Nexus 4 in an official capacity today, touting a new smartphone that merges best-in-class hardware alongside the best of what Google offers. 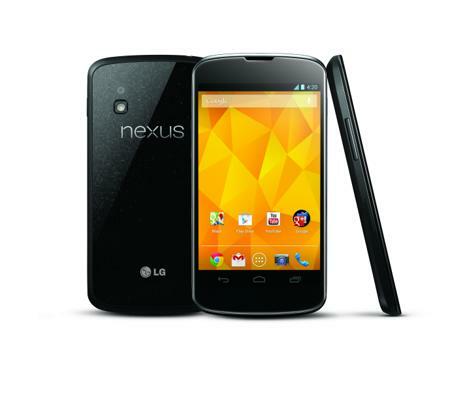 Being part of the newest member of the Nexus family, the LG Nexus 4 will be available from next month onward in select markets. This also marks the first time that Google has worked with LG to build a Nexus device, having first partnered with HTC for their first Nexus, followed by the good people over at Samsung. The LG Nexus 4 is no pushover in terms of hardware specifications for sure, where it will carry a high performance 8-megapixel camera which is capable of capturing stunning Photo Sphere images that lets you shoot photos in every direction which will come together later on. Not only that, you will be able to upload the photos using Instant Upload to the cloud, ensuring that you never need to suffer from the indignation of losing a captured image ever again. In terms of its display, the Nexus 4 sports a vibrant 4.7” True HD IPS Plus display at 1280 x 768 pixels resolution that is supported by Zerogap Touch technology. There will be gently curved glass edges that enables your finger to slide smoothly on and off the 320ppi screen that incidentally is protected by scratch resistant Corning Gorilla Glass 2. Other than that, the LG Nexus 4 will also run on a Qualcomm Snapdragon S4 Pro processor, accompanied by 2GB RAM and Android 4.1 Jelly Bean right out of the box, in addition to the latest Google apps such as the newest version of Google Now which is built-in. There is no word on pricing, but it should reside on the high end side of things for sure.